Welcome to the June 15, 2018 edition of ACM TechNews, providing timely information for IT professionals three times a week. Scientists at the University of Waterloo in Canada have developed an automated method for capturing the fewest number of images necessary for a set of images to be merged into a single all-in-focus photo, a practice known as focus stacking. 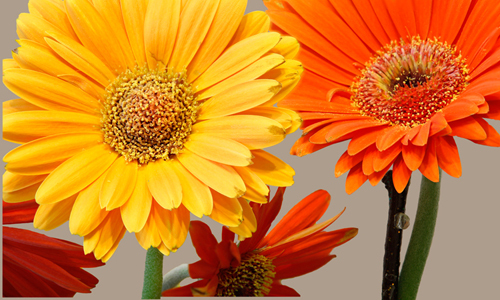 Focus stacking enables a photographer to create images that would be impossible to capture using conventional photographic methods and equipment. Waterloo's Peter van Beek says the new algorithm needs 4.5 times fewer images on average, and reduces post-processing times to focus stack images when using Photoshop up to 90%, compared to other methods for automated focus stacking. This new technique could lead to an algorithm that can detect what is changing in a series of images and eliminate those elements from the final photo, van Beek notes. Between 2017 and 2018, the number of students taking the Advanced Placement Computer Science Principles (AP CSP) exam increased by about 50%, from 50,000 to 76,000, according to data released by the College Board. This increase can be attributed, at least in part, to partnerships made between the College Board and the states of Nevada and Kentucky to bring the AP CSP course to every school district in those states. 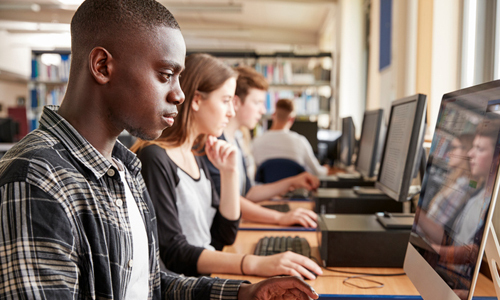 When the AP CSP course was offered, the College Board found, the number of female students earning a score of three or higher on any AP computer science exam more than doubled in 2017, while the number of Hispanic/Latino and African-American students earning a three or higher almost tripled. AP CSP teaches programming and computing but emphasizes creativity and design, providing students with the time and skills needed to explore problem solving through computing. Accenture's new Fairness Tool is designed to quickly determine whether algorithms are exhibiting bias in their data analysis results, and help correct such flaws. The Fairness Tool employs statistical methods to detect when groups of people are treated unfairly by an algorithm, with unfairness defined as predictive parity, meaning the algorithm is equally likely to be correct or incorrect for each group to which it is applied. The tool also considers factors that have a bearing on other sensitive variables, a relationship called "mutual information." In addition, the tool examines individual factors' error rates, and whether errors are higher for one group than another. The tool can then correct the algorithm, displaying the likely downgrade in analytical accuracy so the user can decide how much to fix. "I'm trying...to create responsible AI (artificial intelligence) that integrates with your AI's development process, and enables data scientists and other people on the team to assess their data and models for fairness and come out with a better product," says Accenture's Rumman Chowdhury. Scientists at ETH Zurich in Switzerland have transmitted information between two solid-state quantum bits (qubits) about a meter apart, with high fidelity. The team, led by ETH Zurich's Andreas Wallraff, linked two superconducting qubits with a coaxial cable. The first qubit's quantum state was initially transferred to a microwave photon of a resonator via precisely controlled microwave pulses, before being sent through the cable to a second resonator, where microwave pulses passed its quantum state on to the second qubit. "The transmission of the quantum state is deterministic, which means that it works at the push of a button," says ETH Zurich's Philipp Kurpiers. Wallraff notes the process' transmission rate for quantum states is among the highest ever achieved. The team's next challenge is using two qubits each as transmitter and receiver, to enable entanglement swapping. 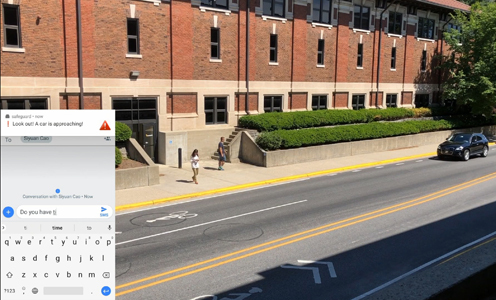 Purdue University researchers have developed a system to enable public surveillance cameras to transmit tailored messages to people while maintaining their privacy. The PHADE (private human addressing) system employs movement patterns as the address code for communication, allowing users' smartphones to decide locally whether to accept the messages. PHADE uses a server to receive video streams from cameras to track users, with the camera building a packet by tying a message to the address code and broadcasting the packet. Once it gets the packet, the smartphone of each target uses sensors to deduce its owner's behavior and follow the same conversion to extract a second address code. Should this code match the address code in the message, the smartphone automatically delivers the message to its owner. PHADE shields privacy by keeping users' personal sensing data within their mobile devices, and transforms the raw features of the data to obscure partial details. Self-learning software developed by researchers at the University of Bonn in Germany can predict actions five minutes into the future by first learning typical sequences of events from video footage, and then predicting actions to follow in new situations. The ultimate goal is to predict, minutes or hours in advance, the timing and duration of activities, says Bonn's Jurgen Gall. The computer was trained on 40 culinary tutorial videos that each contained about 20 different actions, as well as exact details of what time the action began and its duration. Gall says the team presented the software with videos it had not seen previously, telling it each video represented the first 20% to 30% of an activity, and instructing the program to predict the rest. "Accuracy was over 40% for short forecast periods, but then dropped the more the algorithm had to look into the future," he notes. North Carolina State University (NC State) researchers have upgraded the speed of Intel's 3D XPoint memory technology by reducing the amount of data writing required. The team used a method called lazy persistency, which relies on the function of the existing cache system while also storing a checksum, a small bit of data for determining whether a larger volume of data has changed. When things go awry, the processor estimates checksums for data it still possesses and compares it to the checksum for the same data in non-volatile memory; a mismatch alerts the processor that it must redo its work. NC State's Yan Solihin says lazy persistency adds only 1% to execution time, and requires only 3% more writes to memory. At the Massachusetts Institute of Technology's (MIT's) Manipulation and Mechanisms Laboratory (MCube Lab), Maria Bauza is working to develop machine learning algorithms and software to improve how robots interact with the world. "In the end, machine learning can't work if you don't have good data," she says, adding that researchers at MCube collaborate to ensure all systems are powerful enough to be autonomous. Bauza has been exploring the concept of uncertainty when robots pick up, grasp, or push an object. "If the robot could touch the object, have a notion of tactile information, and be able to react to that information, it will have much more success," says Bauza. For the 2017 Amazon Robotics Challenge in Nagoya, Japan, Bauza wrote the code for high-level decision-making that helped the MIT-Princeton Team robot understand what object it was interacting with, and where to place that object. Her team received first place in the "stow task" portion of the challenge, and will continue developing the technology with Amazon. An analysis of third-party whitelisting services that scan the files of Mac computers in search of malware determined several use tools that could overlook malicious code by making the systems appear to have been scrubbed. A study by cybersecurity firm Okta found developers' interpretation of code-signing application programming interfaces (API) allowed unsigned malware to appear to be signed by Apple. Testing showed the tools failed to flag malicious files with faked credentials; further scrutiny revealed that the tools' software developers had misunderstood Apple's guidance for operating a whitelisting service for Macs. Apple says it is updating the documentation explaining to software developers how to build whitelisting tools for Macs. The marine division of Rolls-Royce has introduced a situational awareness and intelligence system to reduce the risk of ferry collisions and night-time groundings, and is testing it in cooperation with Japan's Mitsui OSK Lines (MOL). The intelligent awareness (IA) system uses sensors and intelligent software to improve safety for vessels operating in adverse weather conditions, darkness, and congested waterways. A result of Rolls-Royce’s participation in the Advanced Autonomous Waterborne project and collaborations with Stena Line and MOL, the new technology creates a three-dimensional map of a vessel based on light detection and ranging (LiDAR) to provide an overview of a vessel's external surrounding area. In addition to data from onboard sensors, the system uses information from bridge equipment, radar, and environmental data. One of the system's first implementations will be on an MOL passenger ferry in some of the world's most congested waters between Kobe and Oita, Japan. 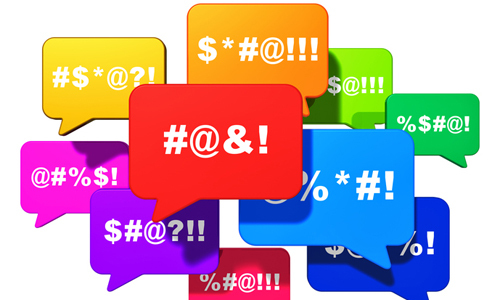 IBM researchers have developed an artificial intelligence (AI) system that translates offensive comments on social media into more polite language, while keeping the content intact. The researchers created the system by collecting nearly 10 million posts from Twitter and Reddit and labeling them as either containing offensive language or not. The team then created an AI algorithm comprised of several components; one parsed a given offensive sentence to determine its meaning, while another generated a more benign version of the message. A third system component evaluated the translated sentence to see if its tone has changed; the system is able to tweak a revamped sentence if it has strayed too far from the original meaning. The AI proved more accurate than a state-of-the-art text translation algorithm.